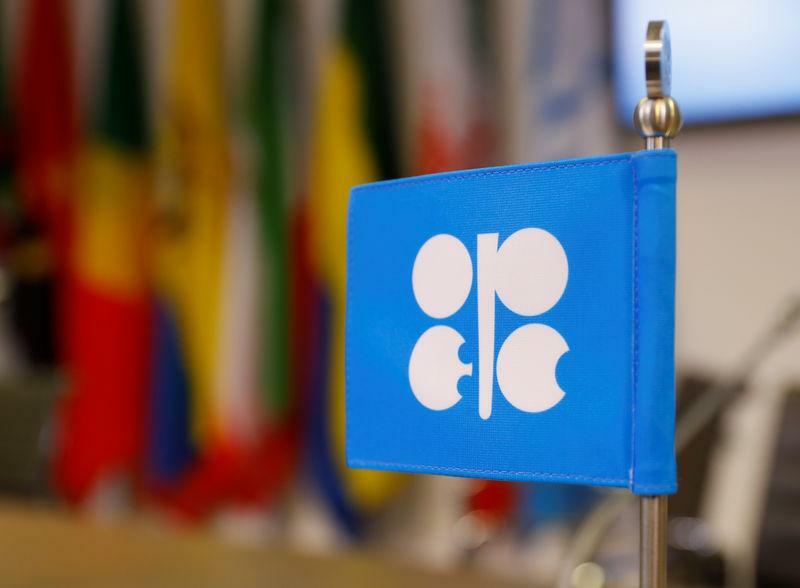 WASHINGTON (Reuters) - A senior administration official said on Friday that U.S. national security depends on affordable energy, and slammed cartels when asked if President Donald Trump would support a bill targeting the OPEC production group's oil supply cuts. The House of Representatives' Judiciary Committee on Thursday unanimously passed the No Oil Producing and Exporting Cartels, or NOPEC, bill. House Majority Leader Steny Hoyer, who has supported NOPEC in the past, was reviewing the bill, an aide said, but there was no indication whether a vote in the full House would be scheduled. The legislation would change American antitrust law to revoke the sovereign immunity that has long protected OPEC members from U.S. lawsuits. It allows the U.S. attorney general to sue the oil producers group, any of its members, and countries it works with, on grounds of collusion. A similar bill was introduced in the Senate on Thursday by Senators Chuck Grassley, a Republican backer of the corn-based motor fuel ethanol, and Amy Klobuchar, a Democrat who is expected to announce on Sunday whether she is running for president in 2020. Senator John Cornyn of Texas has opposed NOPEC in the past. Other Texas lawmakers were also unlikely to support the bill as Motiva Enterprises LLC, a subsidiary of Saudi state oil company Saudi Aramco, operates a large refinery in the state, a policy analyst said. The Vienna-based Organization of the Petroleum Exporting Countries, which includes the world's top crude exporter Saudi Arabia, says it is not a cartel but rather a production group. Trump has criticized the group for cutting supplies and urged it to produce more to lower global oil prices. But the president has taken no action on Saudi Arabia, a major buyer of U.S. weapons, even after the killing of journalist Jamal Khashoggi in the Saudi consulate in Istanbul last year. The bill has appeared in Congress in various forms over the last 20 years, and today's oil prices are low compared to 2008, when the bill passed the House. Oil traded in New York fell 6 cents to $52.58 per barrel on Friday and was down about 4.9 percent for the week, the steepest decline this year, pulled down by worries about a global economic slowdown. The senior official's comments were the furthest the Trump administration has gone in commenting on the bill, which also passed the House committee last year, but did not come up for a vote in the full chamber. “Access to affordable and reliable energy underpins global economic growth and U.S. national security,” the official added. Trump supported NOPEC in his book "Time to Get Tough" published in 2011 before he became president, but he has not publicly commented on the bill while in office. Last summer, OPEC cooperated with non-OPEC producer Russia to boost output before Trump reimposed sanctions on oil exports from Iran, Saudi Arabia's archrival. But OPEC's output fell in January by the largest amount in two years as its Gulf members over-delivered on a supply cutting plan to boost prices. The American Petroleum Institute, the top lobbying group for U.S. oil and gas drilling, has opposed the NOPEC bill, saying it could expose diplomatic, business and military interests to retaliation. API President and Chief Executive Mike Sommers said in an interview the bill was "populist" and the group would work with the House and Senate leadership to tell them that the U.S. shale oil revolution, which has helped make the country the world's top oil producer, has helped combat OPEC. "We are no longer held hostage by the oil cartel in Vienna," Sommers said. Barclays analyst Michael Cohen said in a research note that the appetite for advancing the bill was likely subdued while oil prices were low. But if it did pass, the legislation would threaten the sustainability of coordinated supply actions by OPEC, and OPEC plus Russia, and add more volatility to the market. Another analyst said the bill's future depends on the oil price. “The higher the price of crude goes, the higher the odds of NOPEC. It’s just that simple,” said Robert McNally, president of Rapidan Energy, a consultancy.